a) Examine a few definitions (at least two) of marketing and explain the marketing process with example drawn from H&M. b) Discuss the different kinds of marketing orientations and recommend the most suitable marketing orientation for H&M. a) Analyse the macro and micro environmental factors that influence the marketing decisions of H&M. b) Propose a new product for H&M and examine the concept of segmentation and recommend segmentation criteria and targeting strategy to be used for the newly developed product. c) Identify factors that will influence buyer behavior and propose a new positioning strategy for your organisation and its newly developed product. a) Using H&M as your chosen company, explain how the new product was developed to achieve sustainable competitive advantage. b) Evaluate a range of distribution methods that H&M can use for the newly developed product to provide convenience to a target group of customers. c) Discuss and critically evaluate the various pricing methods used by businesses and recommend pricing strategy that H&M can use for the newly developed product. d) Explain the concept of integrated marketing communication and discuss the elements of promotional mix including extended the extended marketing mix as relevant to H&M's newly developed product. a) Evaluate the marketing mix variables for two segments of the consumer market and discuss how different it would be for businessto-business services (B2B). b) Assuming that H&M decides to enter the international market with the newly developed product, examine and discuss the differences between domestic marketing and international marketing. H&M has chosen to design a strategy based on differentiation. The brand has managed to evolve from a firm catering to a niche market to an organization with a broad base of customers. The differentiation has been on the basis of creating a unique brand image that distinguished it from its competitors. The management has identified fashion as a temporary and perishable commodity. Hence, the pricing structure has been designed accordingly, without compromising on the expected and perceived quality of the items offered. This strategy helped in differentiating the brand from the rest and gradually creates an industry wide customer base and strong competitive advantage. In the US market, H&M has adopted a marketing strategy based by focusing mainly on the customer group consisting of younger women. Thus, H&M has combined different marketing strategies, depending on the nature of the market. Zara, one of its strongest competitors, has mainly differed from H&M, on the pricing strategies (McDonald, 2012). Zara caters to customers who are willing to pay premium prices to obtain branded apparels. However, the difference in pricing strategies has been one of the distinguishing factors between H&M and its more prominent competitors. The sales orientation approach mainly concentrates on maximization of profits earned. However, this approach generally does not consider any thorough analysis of the psyche and preferences of the customers. Thus, in case of H&M this strategy is not feasible as the competitors are focused on continually capturing the untapped needs and preferences of the potential customers. Production oriented approach aims towards cost-leadership by producing products on a large scale at minimum cost. However this strategy is applicable in case of FMCG brands that produce standard products ( Dahlen, Lange & Smith, 2010). H&M, being a leading apparel brand, relies on thorough research and development, hence cannot afford to follow a production oriented approach. Product oriented approach adopted by a brand, emphasizes on the superiority of the products, in terms of quality and features, as compared to the competitors. However, in the global market, H&M has strong competitors who have already differentiated themselves in terms of perceived quality. Moreover, H&M has never positioned its brand on the basis of superior quality. Thus adopting product oriented approach will lead to inconsistency and confusion among global customers. H&M should adopt market oriented approach while establishing itself in untapped global markets. This approach is designed on the basis of thorough analysis of the needs, preferences and buying behaviors of the potential customers. H&M should develop its marketing strategies based on the common global traits as well as the unique aspects displayed by the potential customers in the hitherto unexplored overseas market (Baines, Chris & Kelly, 2013)..
Political- One of the major issues regarding the political environment is the outsourcing policy followed by H&M, over the years. The organization has to strictly abide by the regulations imposed by the government regarding the outsourcing of labors to developing countries. These restrictions, quite often, complicate the framework of manufacturing and supply. Economic- The value-for-money policy adopted by H&M has enabled it to survive the general financial crisis that has affected the purchasing powers of consumers worldwide. Customers have perceived the brand to be affordable, even in the period of recession, leading to steady revenue and profit margins (Hamilton & Webster, 2012). Social- In the recent past, the entire fashion industry has been under constant scrutiny for its adverse effects on the community and the overall environment. H&M has taken initiatives to contribute towards the environment and will continue to consolidate its image as socially responsible organizations, through a host of activities. Technology- Apart from constantly innovating the product features and attributes, H&M, in the last few years, has invested substantially in systematic modifications of its store layouts at certain key locations with the aim of reducing the waiting time of customers. Technology has also been used effectively to expand marketing channels as well platforms of customer feedbacks. Legal- Regulations regarding imports and exports and outsourcing are the major legislatures that the company has to abide constantly. Moreover, regulations regarding wage distribution of labors are critical, since H&M has adopted an outsourcing policy (Kardes, Cronley & Cline, 2014). Customers- H&M has expanded its customer base from niche to a much broader one, over the years. The customers perceive the brand as one that can deliver quality items at affordable prices. The price leadership policy coupled with the brand message that fashion is a disposable product has ensured a steady base of loyal customers. Suppliers- H&M is significantly dependent on its suppliers, since it does not have its own independent factories. The brand reputation and goodwill of H&M along with the fair wage policy adopted by the organization has ensured a strong base of suppliers, mainly belonging to the overseas market (Wells & Foxall, 2012). Threat of new entrants- There are high chances of new competitors emerging in the fashion industry because of the constant exploration of niche markets, based on various criteria such as pricing strategy, demography of customers, behavioral aspects among others. Bargaining power of suppliers- The suppliers have limited bargaining power because of the global brand reputation and hence high negotiating power of H&M. Bargaining power of Buyers- The buyers are increasingly being offered a host of alternatives, as far as fashion brands are concerned. Thus the bargaining power of the buyers is quite high. Threat of substitutes- The price leadership and “Fast Fashion” policy followed by H&M guarantees a distinct identity, in spite of other similar brands, and hence neutralize the scopes of any retail apparel brand taking away its market share (Young, 2011). Level of overall rivalry, in the long run, can be considered as moderate mainly because of the strong brand positioning. H&M can offer a new product to a market that has not been explored so far. Traditionally the brand has focused on perishable fashion commodities at competitive prices. However, H&M should diversify to a market, whose psyche and buying behaviors differ from its traditional set of customers. Demographic- The products should initially be designed only for the females. This is because of the fact that the brand is perceived mainly as one that offers apparels for females. The age group should be within 30-45 years, chosen on the basis of the level of financial independence of the target group. Behavioral- Specific sections of the potential customers associate high quality with high prices. This particular customer segment generally opts for premium priced products, as they perceive that these products have better quality than those with low or moderate prices. H&M should enrich its brand value through effective product expansion. Customers should perceive that H&M has a wide range of products for diverse customer ranges. The expansion in brand positioning will be useful in combating the existing and potential competition in the industry. Capability- H&M has always maintained a customer focused approach while designing its marketing activities. The psyche and needs of the specific customer groups have been analyzed while implementing marketing strategies. The brand has been perceived as one that understands the latest demands and trends of the fashion world, and accordingly deliver tailor-made product for the target group. This has helped in creating a perceived competitive advantage over most of its competitors, which brand should be leveraged to attract and sustain new customer segments. Resources- The Research & Development team has traditionally been able to introduce fashion related products to the intended customer groups, through innovation (Mullins & Komisar, 2013). Moreover, the vertical integration system among the various key stakeholders will enable reach to the target customers, through vast networking and effective co-ordination. A separate Research & Development needs to be developed to research on the new product attributes and designs. These two components should be utilized effectively to create the new brand positioning as well as to communicate the same to the target customer group. The new product should be positioned as an alternative to those customers who prefer classic range of products that have more perceived longevity and can be used for many seasons. This particular category will further enhance the brand positioning and competitive advantage of H&M. This is because of the fact that luxury watches for women belonging in the specified age group is a niche market and currently a few prominent brands operate in it. The new product will be targeted to customers, who are slightly more matured, in terms of age as well as preferences, than the traditional base of customers of H&M. However, initially limited range will be launched in a few selected stores at Sweden. Inbound logistics- Selected group of suppliers, located in both Asia and Europe will be co-ordinated and clarified about the exact requirements for the new product launch. A new group of local suppliers need to be selected. The suppliers will transport the materials to the production facilities located in the vicinity. Operations- The production team will co-ordinate directly with the R&D department and operate accordingly. The operations facility will be located in Sweden, within the vicinity of the suppliers. Outbound logistics- The finished products will be transported directly to the selected stores at Sweden, post approval from the management and R&D department. Marketing and Sales- The launch of new product ranges should be announced through hoardings at strategic locations, prominent displays and verbal communication at point of sales at the selected stores where the products will be launched. Moreover, the brand website should be updated along with interactive online tools to assess customers’ reactions and level of anticipations leading to the launch of the new range. The pricing strategy has to be designed on the basis of the nature and specifications of the intended target group of customers. Pricing strategies quite often can enhance or diminish the intended positioning of a brand ( Boone & Kurtz, 2013). Moreover, pricing strategies are often perceived as an integral part of the entire brand identity. There are a host of alternatives as far as pricing strategies are concerned. Skimming pricing involves setting high prices in order to ensure maximization of profits and revenues initially. Gradually the prices are reduced and the products are made more affordable. However, this strategy is not feasible in this case as the price will be kept high consistently with an intention of attracting specific groups of customers. High low pricing involves maintaining high prices with occasional promotions and discounts. In this case, there are no scopes of discounts in the initial stages hence this strategy is not feasible (Eagle, Dahl, Czarnecka & Lloyd, 2014). Premium pricing strategy should be implemented in case of the new product launch. This will ensure that the target customers will associate the high prices with better quality and durability compared to the traditional product range offered by the brand. Price- Premium pricing strategy will be followed to attract the intended customer group (Armstrong, Adam, Denize & Kotler, 2014). Place- The marketing channels will encompass traditional channels including in store displays and billboards at posh locations of the city where the target customers are expected to visit consistently, advertisements in high end fashion magazines and online channel including social media and brand website. People at service interface- The salespersons at points of sale, at selected stores will educate and make the customers aware of the new product range. Positioning- The product range will be positioned as luxury items with durable quality (Richter, 2012). People- The target customer group are that which generally relates high quality with high prices and will consist exclusively of females within the age group 30-45 years. The marketing mix model for consumer segments consists of some basic components. These components are constant across the breadth of products available in consumer segments. However, the nature and patterns of these components often varies in accordance with the type of product. Identifying segments-Luxury designer apparel segments customers on the basis of behavioral and lifestyle. Competition level-This continues to be a relatively niche market as global luxury brands in these category are few worldwide (Grose, 2011). Market attractiveness-The market consists of customers who have high purchasing power. Competitor analysis- The number of global competitors is few, but prominent, as it is essentially a niche market. Actual target market- Specifications about the gender, age group are essential. Value proposition- Positioned as a product range that are available to a limited set of customers, who have better purchasing power than the average buyer. Identifying segments- Soft drink products generally target the mass market, segmenting on the basis of demographic and psychographic criteria (Pride, & Ferrell, 2014). Competition level- High as this is a crowded market. Competitor analysis- The market is crowded with prominent brands. Actual target market- The youth segment is the most lucrative one. B2C marketing mix often involves emotional buying behavior, based on sentimental factors. In case of B2B, rational purchasing is dominant (Hutt & Speh, 2012). 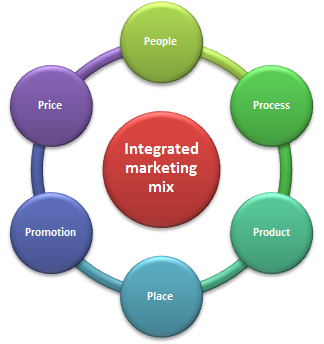 The basic components of marketing mix are same in case of both B2B and B2C. Segmentation- The segmentation part will be similar as H&M will retain the basic value proposition of delivering fashionable products at affordable prices in the international market. However, depending on the type of market that the brand operates in certain unique behavioral and demographic aspects of the overseas customer base has to be assessed (Zentes, Morschett & Schramm-Klein, 2012). Accordingly, certain age and gender groups should be emphasized. In the domestic market female customer base is prioritized, with offerings for men and family also. 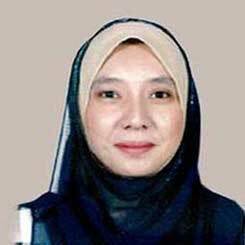 However, depending on the nature of international market, the focus needs to be modified. Target- The relative attractiveness of the various segments has to be identified and assessed. The viability of the various segments may be quite different from those in the domestic market. Also, researches may reveal certain new potential customer segments. Positioning- H&M should use the core value proposition of disposable fashion items at affordable prices, to consolidate its foothold in the market initially (Johansson & Carlson, 2014). However, in the long run, other value propositions may also be explored. Reynolds, Paul & Lancaste, Geoff 2013, Marketing, Routledge, UK. Hamilton, Leslie& Webster, Philip 2012, The International Business Environment. Oxford University Press, UK. Kardes, Frank, Cronley, Maria& Cline, Thomas 2014, Consumer Behavior. Cengage Learning, USA. Wells, Victoria & Foxall, G. R 2012, Handbook of Developments in Consumer Behaviour, Edward Elgar Publishing, USA. Young, Laurie 2011, The Marketer’s Handbook, John Wiley & Sons, USA. Palmer, Roger, Cockton, Juanita& Cooper, Graham 2012, Managing Marketing. Routledge, UK. Mullins, John & Komisar, Randy 2013, Getting To Plan B: Breaking Through To a Better Business Model, Harvard Business Press, USA. Boone, Louis and Kurtz, David 2013, Contemporary Marketing, Cengage Learning, USA. Eagle, Lynne, Dahl, Stephan, Czarnecka, Barbara& Lloyd, Jenny 2014, Marketing Communications, Routledge, UK. Armstrong, Gary, Adam, Stewart Denize, Sara & Kotler, Philip 2014, Principles of Marketing, Pearson Australia, Australia. Richter, Tobias 2012, International Marketing Mix Management, Routledge, UK. Grose, Virginia2011, Basic Fashion Management, A&C Black, UK. Pride, William & Ferrell, O. C 2014, Foundations of Marketing, Cengage Learning, USA. Hutt, Michael & Speh, Thomas 2012, Business Marketing Management: B2B, Cengage Learning, USA. Stevens, Robert E, Loudon, David L & Wrenn, Bruce 2012, Marketing Management, Routledge, UK. Zentes, Joachim, Morschett, Dirk & Schramm-Klein, Hanna 2012, Strategic Retail Management, Springer Science & Business Media, UK. Johansson, Johny K & Carlson, Kurt A 2014, Contemporary Brand Management, SAGE Publications, USA.